Last year the Christian Chronicle, a monthly newspaper for the Churches of Christ, ran an article on the Bar Church of Abilene, Texas that the Southern Hills Church of Christ helped plant. The Bar Church is a community of Christians that originally gathered inside a local bar for worship, fellowship, etc… in order to reach people who will likely never step foot inside the gatherings of a traditional church. As expected, news of a church plant meeting in a local tavern drew both praise and criticism. Without knowing any more details than what has been reported, I am one who applauds such effort and I want to briefly focus on the criticism as a way of discussing a larger issue with the gospel and the mission of God. No one sews a patch of unshrunk cloth on an old garment; otherwise, the patch pulls away from it, the new from the old, and the tear becomes worse. And no one pours new wine into old wineskins; otherwise, the wine will burst the skins, and both the wine and the skins will be destroyed. Instead new wine is poured into new wineskins (vv. 21-22). This parable occurs within a series of five stories in which the authority of Jesus is challenged (Mk 2:1-3:6). The problem with Jesus is that he does not live according to the expectations of the Jewish lawyers and Pharisees. The kingdom of God looks like a reality where sinners are welcomed with hospitality, where those who suffer find healing, where showing mercy trumps the sacrifice of Sabbath keeping, and so forth. This is the kind of life Jesus calls us to follow him, learning how to participate as disciples. Yet Jesus is clear: As long as we continue trying to fit this way of life into our old paradigms (theological, ecclesiological, etc…), it will not work! That is why Jesus tells us the parable of sewing a new patch on an old garment and pouring new wine into old wineskins. We need new wineskins for new wine! We need new a new paradigm for this gospel of the kingdom of God that Jesus preaches and calls follow him in living as his disciples! I began this blog post with story of a Church of Christ that planting a very non-traditional seed of the gospel by helping plant a new church meeting in a bar. It’s but one example of what it might look like for a church to the new wine of the gospel into new wineskins. Just one example. It is by no means a suggestion that this is what every church needs to do. I believe way too much in the need for local contextualization of the gospel to even begin suggesting a one-size-fits-all approach. What I’m concerned about is those who want to cling to their old wineskins while criticizing any attempt at pouring new wine into new wineskins. Any one familiar with the Churches of Christ can see the decline. Most churches, including the Columbia Church of Christ with whom I serve as a minister, are less than one-hundred members and declining. The culture around us is rapidly changing and learning how to navigate the waters in this ever changing climate has been… Well, as far as I can tell, were not sure how to do that. In such uncertain circumstances, there are more questions than answers which that creates a lot of stress and anxiety. “How do we move forward in all this mess?” is the question that gets asked. Yet our human nature is to take the path of least resistance and that usually means reverts back to what we already know… the so-called tried and true approach. I think this is why Michael Shank’s book Muscle and A Shovel has become so popular. 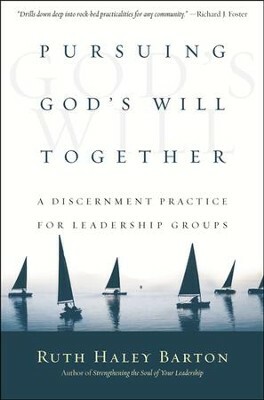 Because despite it’s sectarian approach that promotes a gospel focused on the “true church,” a form of legalism that many in the Churches of Christ seemed to have let go of, it offers an approach that is very familiar (if you read the book then make sure you also read this very well-written and critical review of the book by John Mark Hicks). But Jesus is clear: As long as we continue trying to fit this way of life into our old paradigms (theological, ecclesiological, etc…), it will not work! Learning to follow Jesus together begins with hearing afresh our Lord’s first commandment: “Repent and believe the gospel! (Mk 1:15). We have to change our expectations of how we expect to see the kingdom of God at hand. Seeing God’s kingdom at hand does not happen by trying to restore the first-century church pattern from proof-texting the New Testament. The way forward is found in embracing the values and practices of Jesus as our own, within our own local contexts. That requires much discernment. This entry was posted in Church, Churches of Christ, Contemporary Culture, Discipleship, Kingdom of God, Leadership, Missions and Ministry, Scripture. Bookmark the permalink. Rather than restoring the first-century church pattern, various “wineskins” of the church have more often restored the Old Testament pattern: buildings viewed as the house of God (like the O.T. temple or tabernacle); worship leaders viewed as the representatives of God (like the O.T. priests); worship focused on ritual in holy buildings led by holy leaders; and tithes and offerings that support the leaders and buildings.